(Natural News) The Defense Advanced Research Projects Agency (DARPA) is keeping itself busy these days trying to develop an army of ultra-powerful robot “warriors” to do it’s totalitarian bidding on the world stage. According to new reports, the Department of Defense (DOD) agency has requested that developers present their best, bug-sized robots, purportedly for use in an Olympic-like competition, of sorts, that will test their strength, agility, and speed by having them jockey with each other in a battle of dominance. Dubbing them “SHRIMP,” short for Short-Range Independent Microrobotic Platforms, the tiny insect “bots” will be deployed in various competitive scenarios, similar to those engaged by human athletes, to see how well they operate. One of the challenges will reportedly involve looking at how well the robots can “jump,” as well as how much weight they can lift and how far that weight can be “thrown” by their miniature “bodies.” There will also be a tug of war “sport” to verify their pulling ability. It’s all fun and games until you consider that DARPA’s actual goal is to see how well miniature “soldiers” might perform on the battlefield. They can whitewash it all as some kind of sporting event, but the truth is that it is all an attempt at creating uber-advanced military weaponry. If you’re not convinced, consider that DARPA is planning to set up the very same types of challenges and obstacle courses that actual humans in military training are subjected to before being deployed – including rock piling, climbing, and even a biathlon event. 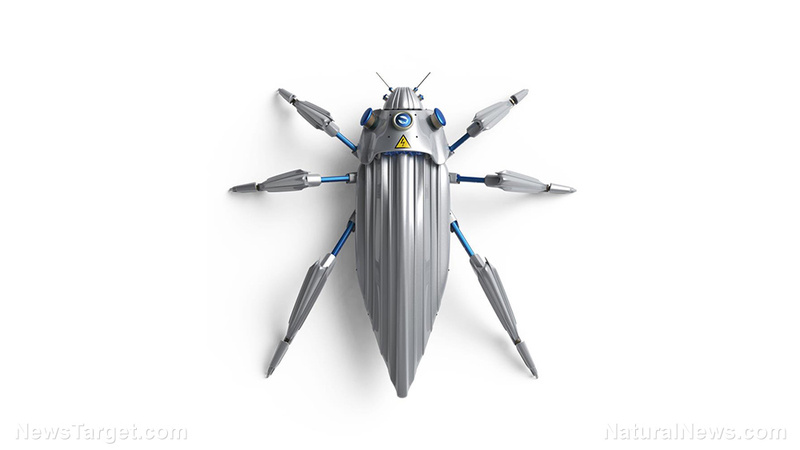 DARPA hasn’t been shy in admitting that part of the evaluation involves assessing how well insect-esque robots are able to perform tasks that are considered to be “off-limits” to humans. DARPA claims that the endgame is to help humanity by creating technologies that can be used in everything “from prosthetics to optical steering,” according to Ronald Polcawich, DARPA’s program manager for its Microsystems Technology Office – but we all know better. Keep in mind that this is the very same DARPA that, back in 2011, announced the formation of a so-called “Warrior Web” program that, as we previously reported, involved developing technologies to create a new breed of “super soldiers” that some believe might eventually replace all human soldiers. This was revealed several years later when DARPA expanded upon this “super soldier” concept by announcing that it was working to develop genetically-modified soldiers using gene-editing technologies like something out of some futuristic sci-fi movie. And, as it usually does, DARPA is notorious for couching its proposed innovations in terminology that makes that sound innocuous and even advantageous to everyday people. In other words, trust us – we’ve got this! But the truth is out there for those who care to acknowledge and accept it. As an errand boy of the Pentagon, DARPA is not only trying to supplant humans with robots, it’s also working closely with the thought police to control the free-flow of information online. In other words, DARPA continues to be an enemy of freedom and liberty.